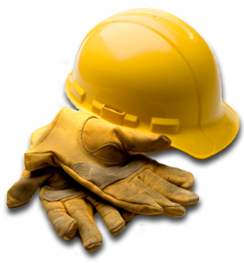 "Working within the Construction Industry"
We offer NVQ's in Roofing Occupations and Site Management, as well as a range of Health and Safety courses such as Safe Working at Height, Risk Assessment, Scaffold Tower training and Ladder Management Skills. 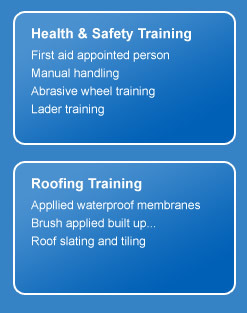 All our courses can be tailored to suit your timescales and workloads. safer and more competitive business. Why training is good for business? As the industry faces an uncertain economic future it is even more important for you to retain skilled qualified staff. You already know that training is good for business - whether you are training new recruits or are looking to develop and upskill your existing employees. Qualified staff assist you to gain that competative edge to win that vital contract. We are here to help and assist with that need.